You can buy a viewer for watching a 360 degree images or film on your phone. For example Google have a set here: https://vr.google.com/cardboard/. 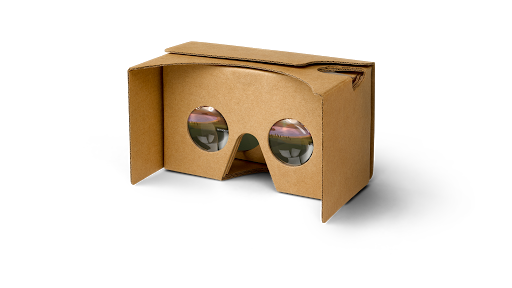 Alternatively google "Google Cardboard" to see viewers ranging from £0.99 from ebay. There are also templates you can download for free. Could the dust storm that almost kills off all the astronauts at the beginning of the Martian really happen? We built (in the Engineering and Physics Departments) a wind sensor which will measure Martian winds and see how this causes dust. It measures wind the same way you do if you lick your finger and hold it in the air: it has heaters on three sides of a cylinder, the side which cools off the most is probably upwind, which tells you the wind direction and speed. This allows the sensor to be very light – less than one gram for the sensor head itself (although a few more grams for cables and electronics). Landing will be on 19 October this year – mark your calendars!!! 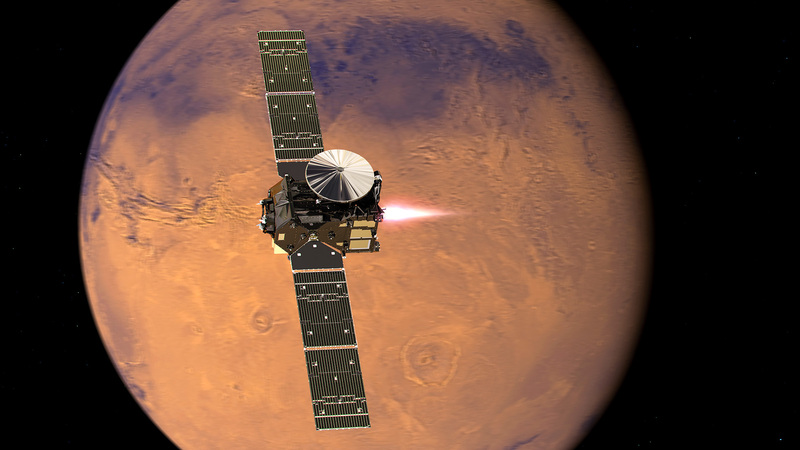 More information about the mission is at http://exploration.esa.int/mars/57558-exomars-2016-media-kit/ . The exotic terrains of Mars' south pole have many forms unlike anything on Earth. We would like your help to map where they occur in images taken by the Context Camera aboard Mars Reconnaissance Orbiter. 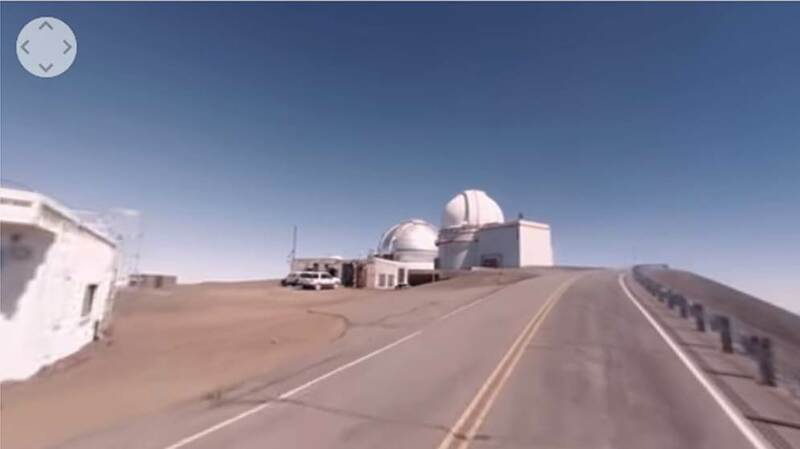 We will use the locations you identify as targets for detailed study with the HiRISE camera, the highest resolution camera ever sent to a planet! We encourage all users to join the conversation on the discussion boards for more in-depth participation. Zooniverse has headquarters at Oxford University and the Adler Planetarium. The space industry isn't just about the astronauts. A panel of experts explore career options in the sector and offer tips on how to get your space career to take off: http://www.theguardian.com/careers/space-careers-industry-advice. We also asked some of our own researchers to talk about their own experiences. I always enjoyed science at school, and then physics at university, but rather than being attracted by the exotic topics of relativity or quantum physics I wanted to something much more tangible, commercially relevant and environmentally responsible. That led me to a Masters degree in double glazing(!). I then decided I didn’t like glass and wanted something a bit more glamorous, so I tried to sign up to do doctoral research using Earth Observation satellites but ended up studying planetary atmospheres instead and have done so ever since. 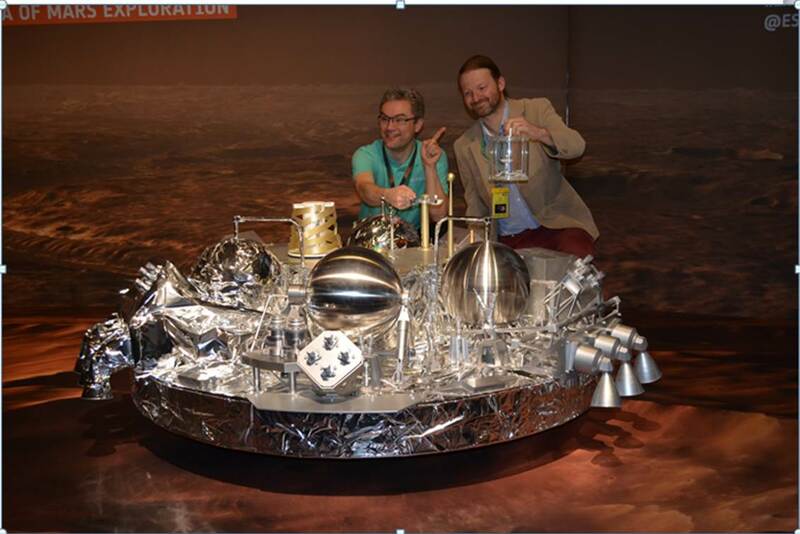 I first designed the Mars wind sensor in 2000-2001 as part of doctoral research and flew it to Mars on the Beagle 2 lander, which got to Mars on Christmas Day 2003 but never phoned home. 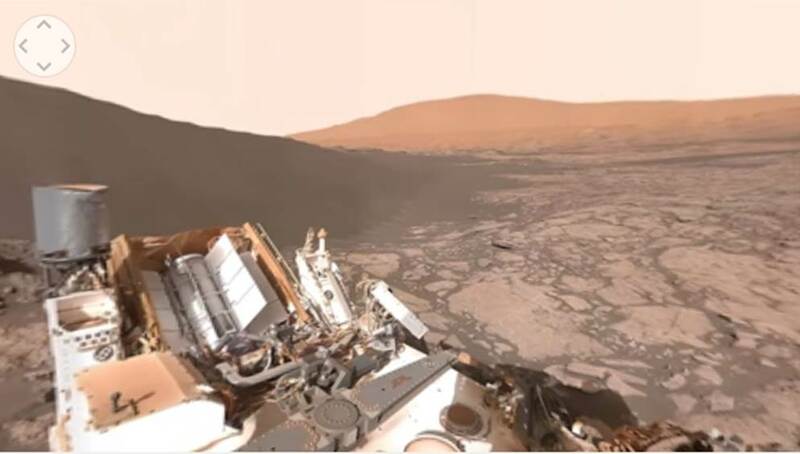 It has taken until now, 13 years later, to get another wind sensor on a Mars lander. Meanwhile we are developing proposals for new planetary spacecraft which would launch in 2029. Planetary science is not for the impatient! I was interested in Physics from a young age – mainly inspired by science fiction TV shows and books. I did Physics, Chemistry and Maths at A-Level and then went on to study Physics and Astronomy at University of Sheffield. Toward the end of my undergraduate degree, I realised I wanted to use my Physics degree in a more applied way and so did a Masters degree in Geophysics and Meteorology at University of Leeds. I worked on Soufrière Hills volcano, Montserrat – including a field trip to the volcano – during my main project and this led me on to my PhD project. During my PhD at University of Reading, I looked at one of the gases emitted by volcanoes, Sulphur Dioxide (SO2) and I was looking at the amounts emitted by Soufrière Hills during periods then it was actively erupting and during periods of no activity. 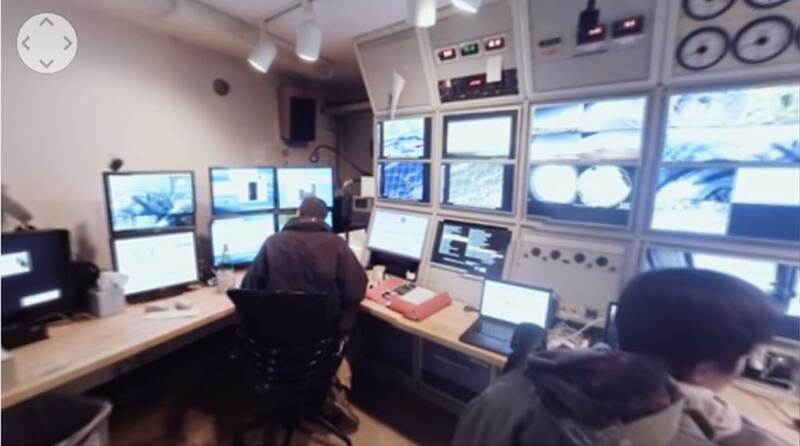 To do this, I used satellites orbiting the Earth looking down, as well as instruments around the volcano looking up, to measure the composition of the atmosphere and see if there was any change in the amount of SO2 in the atmosphere. We used the SO2 data, together with other data sets such as the number and location of earthquakes under the volcano, to try to work out if and when Soufrière Hills was likely to erupt again. I now work in the Physics Department at Oxford University, again using satellites orbiting Earth to look at the products emitted by volcanoes, but now I look at the whole globe rather than one volcano. My group try to improve the measurements we make of SO2 and volcanic ash and monitor Earth's atmosphere so we can see if a volcano erupts anywhere in the world. I am an Associate Professor in the department of Physics, University of Oxford. After A-levels I did a degree in Physics at Imperial College in London, then headed off to work in industry (radiation standards and computer programming) for eight years. I then went back to university, joining Oxford Physics to do a doctorate studying the atmosphere of the planet Jupiter. 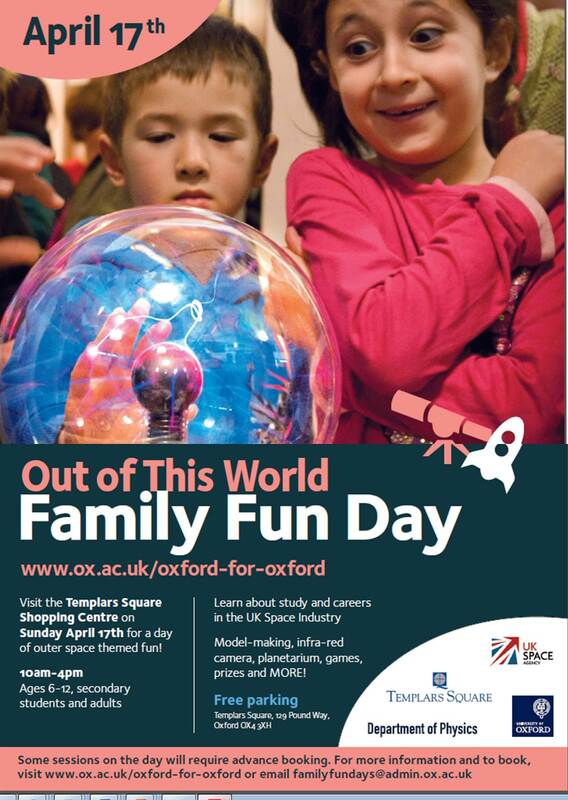 At Oxford I have helped develop and test parts of space missions that have been sent to Mars, the Moon and closer to home in orbit around the Earth. My research group’s most recent work has been helping NASA prepare for a mission that launched in September 2016 to return a sample from an asteroid. For some shorter 20min talks about Space related topics we recommend looking at the Stargazing series. To sign up for monthly emails about upcoming talks and events please complete our short form: http://www2.physics.ox.ac.uk/my-forms/email-list.